Throughout the muddy three days of the fair, our members participated in events and activities around the clock. From dawn to dusk, our chapter covered the bases this September with great success. The 2018 Lampeter Fair was tons of fun for everyone involved, from setting up, exhibiting, working the food stand, and tearing it all back down-the Garden Spot FFA was there for it all! The 17th, 18th, 20th, and 24th numerous members of the Garden Spot FFA came to help the West Lampeter Community Fair Board set up what everyone saw for the next three days. Many of us brought hammers and staple guns to tackle that 4 day haul. With sweat and manpower, the team got everything done and on time too. What no one was expecting was the rain, even then our members volunteered their time before, in between, and after food stand shifts to go help spread mulch when it was down pouring. It’s safe to say the mulch “teams” saved the day. 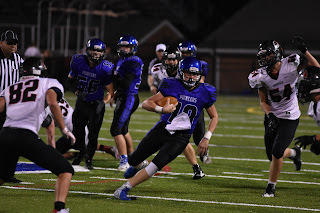 Last week, the Lampeter-Strasburg football team took the dub, 20-13, in their game against Elizabethtown. During the first quarter, the Pioneers were playing well. We were definitely out-playing E-town. Coming out of the first quarter, we were winning 7-0. Going into the second quarter, L-S was feeling confident and maybe thinking we could even win the game with a couple more stops and touchdowns. Unfortunately, leaving the second quarter and going into the locker room at half time, we were losing 10-7. After the big half time talk in the locker room, the Pioneers came out firing with a touchdown in the third quarter with E-town responding with a tough field goal. On that drive, E-town came marching down the field but L-S put up a big stop on the goal line three times! And E-town had to be satisfied with a field goal. In My Own Words In this installment of In My Own Words, Stewart McClain talks about playing on the Section 3 champion golf team. This week, the Lampeter-Strasburg Golf team won the Section 3 title. The last match I didn't play in because I didn't qualify but our team still won. We won the section title by about 30 to 40 strokes. The six members that contributed for the match was Austin Lauver as our first seed and Pat Holmes as our second seed. Those are also our two seniors on the team. Austin went on to play in Leagues. Our three and four seeds were Katie Lapinsky and Matt Wilson. Matt and Katie both went onto to play in Leagues along with Austin. 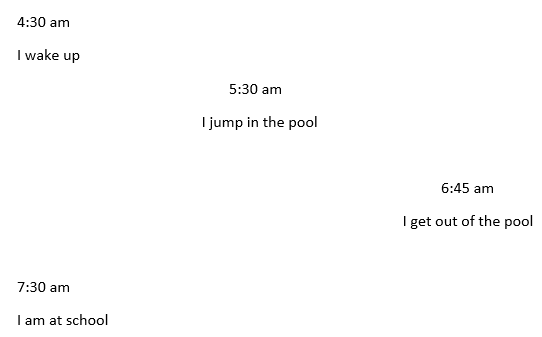 After that Katie went on to play in Regionals. Going through the season we played really well and all of us were at the top of our games. In the second to last match we went up two points/matches to Octorara. When we knew that we were all really hype and excited. It was almost a bug sigh of relief. It was the kickoff for Homecoming weekend and the Lampeter-Strasburg football team needed to post a dub after a three week losing streak. 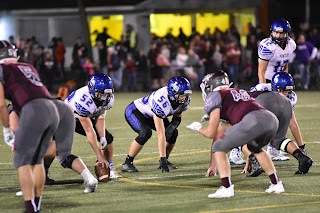 Interestingly enough, Elizabethtown was riding high after a three game winning streak which they capped with by a 52-17 smack down of Penn Manor last Friday. Sophomore quarterback Sean McTaggart secured the 20-13 victory for the Pioneers by rushing for 94 yards and scoring the lead taking touchdown with just over four minutes left in the game. The Pioneers finish the regular season on Friday against Cocalico. In addition, Elli Strauss was crowned homecoming queen. Johnny Franklin was crowned homecoming kind the night before during the annual powder puff game. Laying on the floor CD three track five the soft melody carrying me to another world. the crescendos and decrescendos rolling over me as waves lap the shore bringing forth new emotions new ideas new beginnings. After a undefeated season of Section 2 victories going 5-0, the Lampeter-Strasburg Girls Tennis team was rewarded with the Section 2 championship earlier this month. However, the season didn't end there. 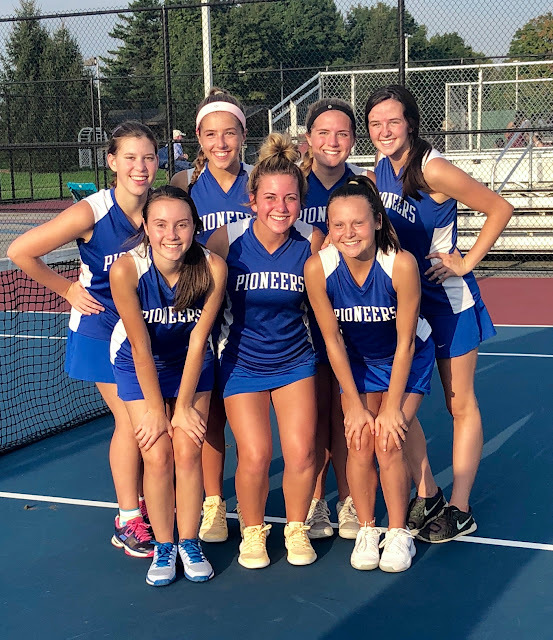 The team sent Sarah Capoferri, Larson Kessler, Izzy Brown, Sierra Stoltzfus, Ryan Gerhardt, and Kendall Winters in both singles and doubles matches for Lancaster-Lebanon league championship play. 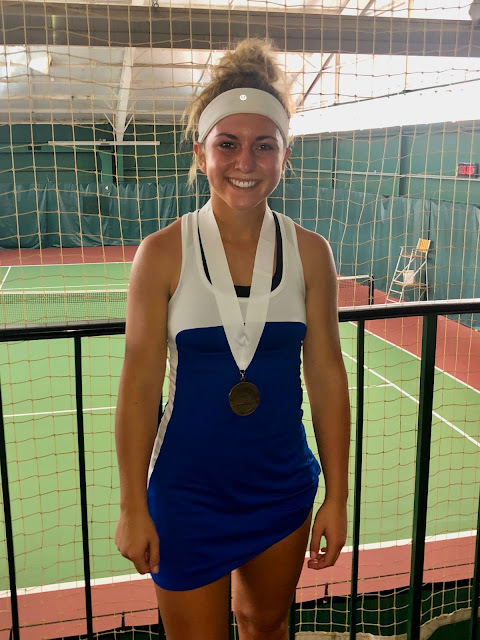 From there, L-S tennis superstar Sarah Capoferri was able to advance from leagues all the way to districts in Hershey where she took third place this past weekend in District III 3A Girls Singles Championships. Taking third advances her to the PIAA State Championships in November, in fact only three girls in 3A qualified for states in singles. 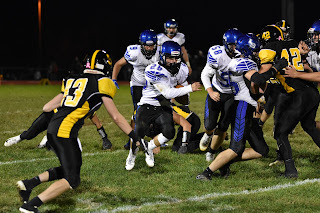 On Friday night, the Lampeter-Strasburg football team fell to Solanco, 48-27 in what has become an annual contest for ownership of the "Milk Jug" trophy. After a strong opening of non-league matches, the Pioneers have struggled in their past three outings. The football team is hoping to change their luck this Friday when they play Elizabethtown at 7 pm at J.K. Mechanical Stadium. At halftime, the homecoming queen will be crowned. Be sure to come out to support the team. Come support the Lampeter-Strasburg GSA by eating at Strasburg Isaac's tomorrow. This fundraiser affords club members the opportunity to attend the annual GSA Leadership Summit at Dickinson college. You can read more about the leadership summit here. Students who go to Dickinson further develops leadership and advocacy skills. The students develop several skills that help them to learn lead organizations and people. The fundraiser is this Thursday, October 11 at Isaac’s on 226 Gap Road, Strasburg (The Shops at Traintown). 25% of your check will go to the L-S GSA and 15% of an gift cards you purchase will go to the L-S GSA. Make sure to bring a GSA fundraiser flier with you. If you don’t have a flier you can get one from Mr. Spealman in room 225. Every time I try and every time I win. Johnny Cash sings those words in A Boy Named Sue. It's the perfect way to frame a loss not as a loss but as a try. That's exactly what happened on Friday as the Lampeter-Strasburg football team "tried" against the Barons of Manheim Central, 43-7. The Barons have not lost a league game in two years. 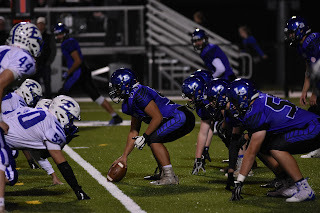 This season thus far they have shut out both Susquehanna Township and Elizabethtown 44-0 and 50-0 respectively. The Pioneers gave Friday's game their best try scoring a touchdown during the first quarter preventing the Barons from having another shut out. The Pioneers are now 4-3 in league play. This week L-S travels to Solanco on Friday for a 7 pm league match. After a undefeated season of Section 2 victories going 5-0, the Lampeter-Strasburg Girls Tennis team was rewarded with the Section 2 championship last Friday. Overall, the girls went 10-4 this season with an impression record of 42-10 in singles and 62-14 in doubles. Lancaster-Lebanon league championships, which started Thursday, continue tomorrow at Conestoga Valley. Here's the current status of L-S players still in the tournament. Flight One Singles Sarah Capoferri won two rounds to advance to semifinals. Flight One Doubles Sarah Capoferri and Larson Kessler won first round. Flight Two Doubles Izzy Brown and Sierra Stoltzfus won first round. Flight Three Doubles Ryan Gerhardt and Kendall Winters won first round. Flight Four Singles Ryan Gerhardt won two rounds to advance to semifinals. 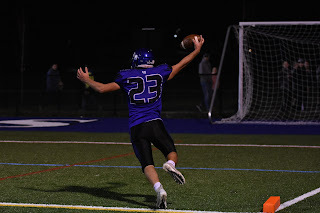 Last night the Lampeter-Strasburg football team fell to visiting Hempfield in a nonleague match, 28-26. Hempfield took the lead in the first half with several short touchdown passes to take the lead. From there, Hempfield's defense kept the lead just out of reach for the Pioneer's offense. Next week, the Pioneers (4-2) travel to Manheim Central (6-0) in a league contest.